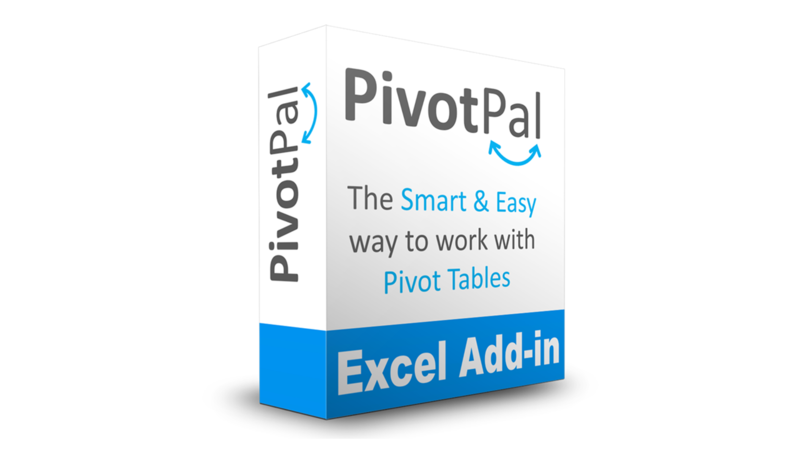 Description: The PivotPal Add-in for Excel will help save you time when working with pivot tables. Compatibility: PivotPal is compatible with Excel 2007, 2010, 2013, & 2016 for Windows (both 32-bit & 64-bit). The add-in is NOT compatible with the Mac (Apple) versions of Excel. Next Steps: Please complete the form on this page to purchase the add-in. You can pay by credit card or PayPal in step 2. You will get immediate access to download the add-in after the payment is processed. You will also create an account for the Excel Campus members area to access the file downloads and future updates.